Data obtained were analyzed with the help of SPSS software version 13. The chi-square test was used and values with P< 0.05 were considered statistically significant. 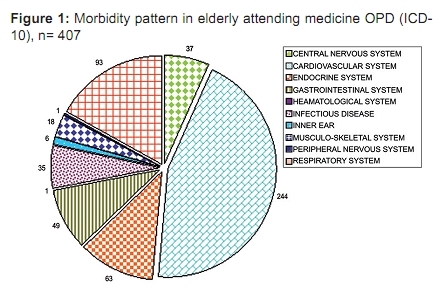 The morbidity pattern based on ICD-10  during the study period is shown in [Figure - 1]. Cardiovascular disorders (59.95%) formed the most common cause for attending the OPD followed by respiratory disorders (22.85%). Hypertension (40.29%) was the most common condition affecting the geriatric patients visiting Medicine OPD, followed by diabetes mellitus (12.28%), ischemic heart disease (11.30%), upper respiratory infection (10.31%), and chronic obstructive pulmonary disease (10.31%). 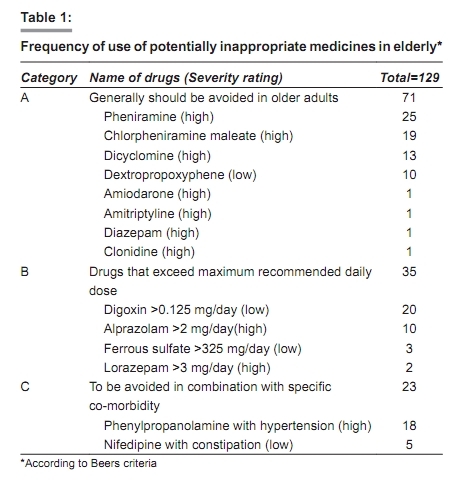 Out of 407 patients, 96 patients (23.58%) received at least one drug which was potentially inappropriate and 129 out of total 1738 drugs were prescribed inappropriately; drugs to be avoided in geriatric patients (Category A) being the most common category of inappropriate use [Table - 1]. According to Beers criteria 2003, out of 14 drugs prescribed inappropriately in this study, 10 carried a high degree of risk to the elderly patients. 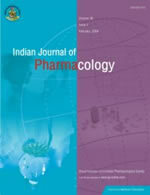 There was highly significant association between the number of drugs prescribed and frequency of use of PIMs (P< 0. 0002). Inappropriate drug use was most frequent in upper respiratory tract infection (URTI) followed by abdominal pain and congestive cardiac failure [Table - 2].